Are you ready for Premier League kick off on Saturday? The 17th of August box has for a very long time been ticked in our calender, in fact ever since last season ended. After the long grueling summer the wait looks to finally be over and the Premier League starts again. We count down until kick off with a brand new campaign-site, where you can get close to some of the biggest clubs in the English top flight. Are you ready for the season to start? Most people never want the summer to end, but we almost can't wait, because the end of the summer means the start of the Premier League. From today there's just 4 days until the start of the new season. When Martin Atkinson on Saturday, at 1:45 PM blows his whistle, we can look forward to 38 intense, dramatic and breathtaking rounds of football, with the very best footballers in the world fighting for one of club footballs most attractive trophies. 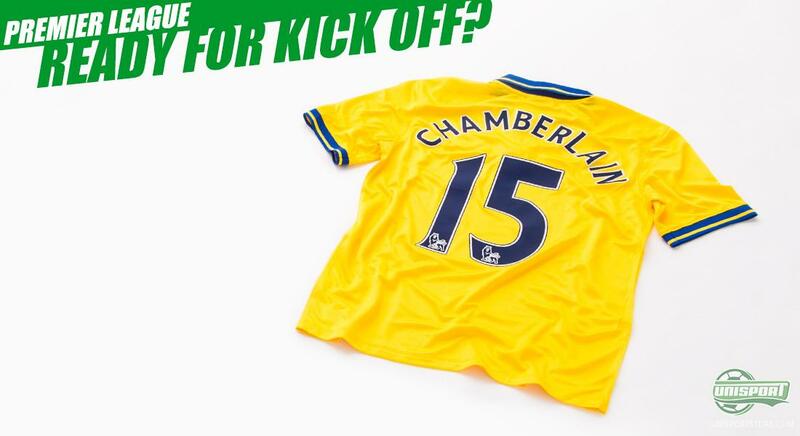 Check out our campaign-site, so you can get close to the Premier League and be completely ready for next Saturday and the many weekends after. 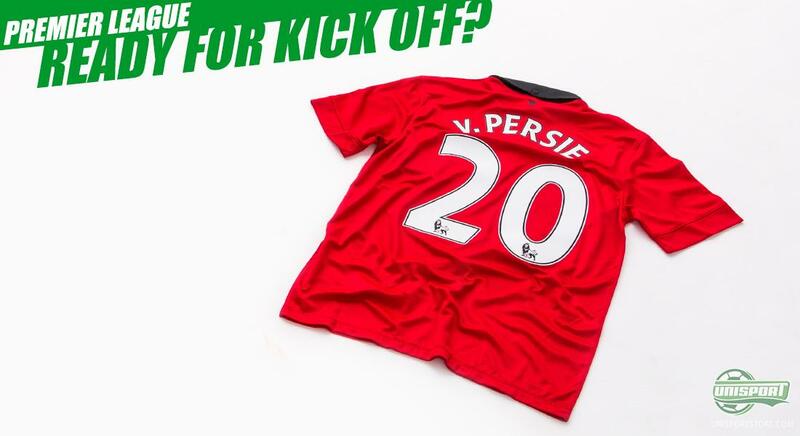 On the campaign-site you can get close to Manchester United and last seasons golden boot winner, Robin van Persie. Already last weekend, during the Community Shield game, he already showed his goalscoring prowess, bagging a brace, while wearing his Adidas F50 Adizero. Are United to retain the Premier League trophy, then RVP will be pivotal to their success. You would think that the flying Dutchman would be hungry for glory, not just for The Red Devils, but also personally, as he hunts for his third successive golden boot. You can also get close to one of Uniteds big rival, Chelsea. 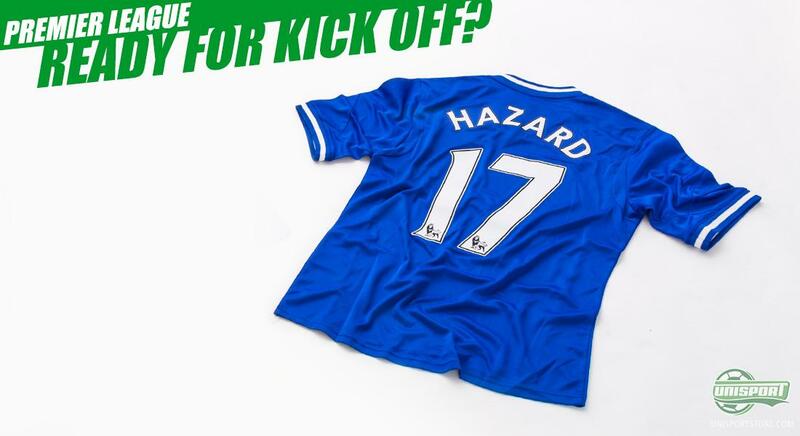 Eden Hazard will, with The Blues, be trying to put a monkey wrench in Manchester United machinery and sink the flying Dutchman. They have, like their other Championship contenders, changed manager, with the return of The Special One, more commonly known as José Mourinho. He will be doing his bit to make sure the trophy does not end up in Manchester for the 3rd year in a row. It is not just Manchester United, who José Mourinho and Chelsea will be trying to best when the new season starts. Manchester City will also be launching an assault on the EPL elite and like their rivals they have also announced a change of manager. Manuel Pellegrini will be at the helm of City and the sails are set directly for Premier League glory. Will they do it? - Only time will tell. Arsenal are the only team in last seasons top four to not change manager. It is still good old Arsene Wenger, who calls the shots. It is however a new look Arsene, who looks like playing the transfer market in uncharacteristic offensive style. Although it is yet to bear fruit, Arsenal supporters can't fault the effort. Part of The Gunners success comes from their extremely talented squad, with massive expectations resting on Jack Wilshere and Alex Oxlade-Chamberlain's shoulders. Four days seems like forever, but we hope we can make the wait seem just a little more bearable with our brand new Premier League campaign-site, which you can visit by clicking the banner just above. How do you think it will go in the Premier League? And who do you think will be crowned Champions next May? As always we would love to hear from you here, as well as on Twitter and Facebook.